11. 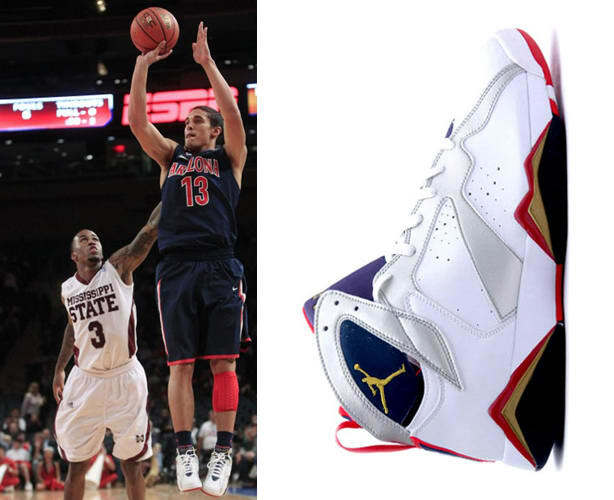 Air Jordan VII "Olympic"
The freshman guard has already impressed his peers, pulling out the "Olympic" VIIs early in the Wildcats season. You know, the ones Mike rocked when "The Dream Team" abused the competition by an average of 43.8 points a night — yeah, they played solid. We're not sure if these are the ones from his personal collection in high school from 2010 or if the diaper dandy already got a pair from JB early for 2012. Either way, impressive.